Cheshire Fitness Zone accepts most major insurance plans. If you do not see your insurance on this list, please feel free to contact our office so that our staff can assist you in determining eligibility under your plan, such as verifying your insurance deductibles or copayments for therapy services. 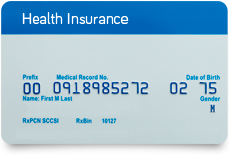 Have your insurance membership card handy before you call. No worries, we also help many families without insurance. Please contact us today for more information on our fees for service and payment details.